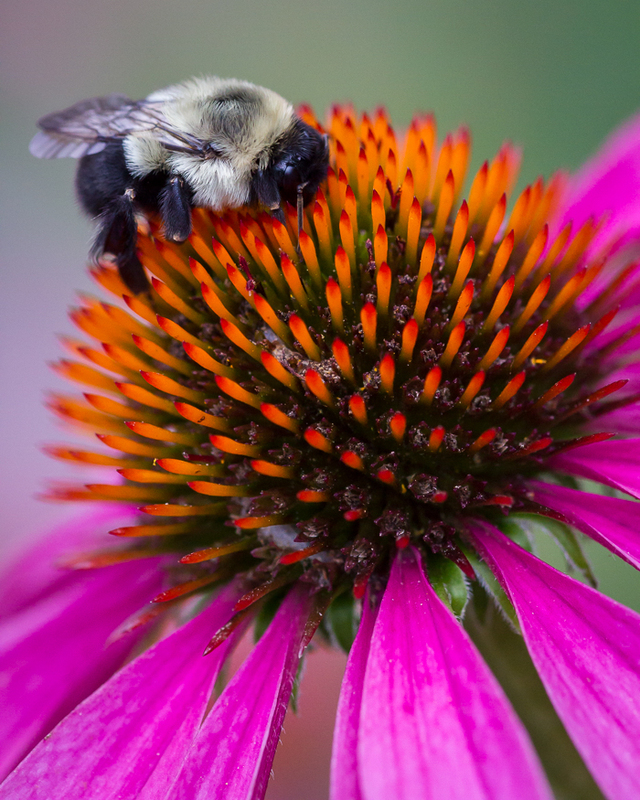 "Sleepy Bumble" A bumble bee curls up for the night on top of an Echinacea in the pollinator gardens. I had a chance to pop by Swan Lake at Rockefeller State Park Preserve this evening for a short macro photography session. The overcast was heavier than expected, so it was pretty dark. But I managed to find some interesting compositions amongst the milkweeds around the lake and in the pollinator gardens near the visitor's center. Enjoy! 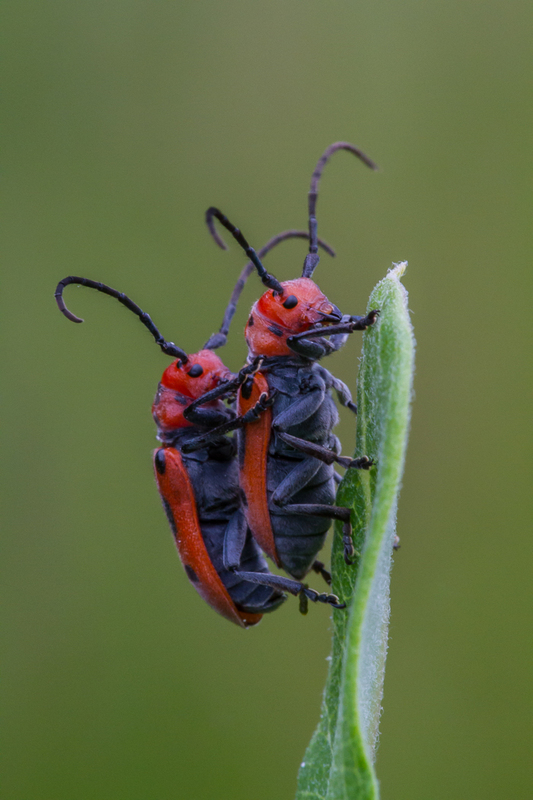 A pair of red milkweed beetles (Tetraopes tetrophthalamus) cling to a milkweed leaf near Swan Lake.